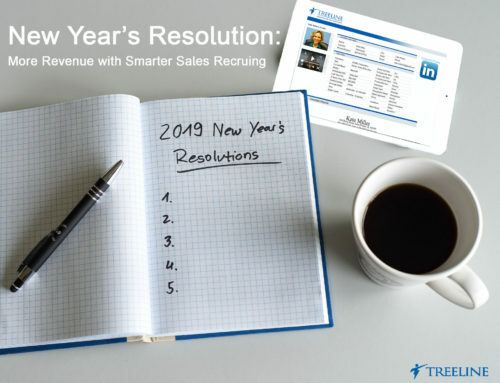 With traditional prospecting strategies such as auto-generated lead lists and mass cold email campaigns, it’s no wonder that 50% of sales time is wasted on unproductive prospecting! These five steps will teach you how to discover, target, and sell to the best leads for your business. What traits do these customers have in common? At the point of sale, what was the value proposition? At the point of sale, why was the timing right for the customer to make a purchase decision? Why are these customers a great fit for your business? Why have they stayed loyal to you year after year? If you’re unsure of the answers to these questions, it can be helpful to schedule discovery calls with your best customers. These calls can provide important insights into the type of customers you should be focusing your lead generation efforts on. Use the key insights you discovered in step #1 to create an ideal customer profile (ICP). An ICP is a pre-defined set of demographic, technographic, and sales triggers which describe your ideal customer. Demographics: Basic information like industry, location, company size, annual revenues, etc. Technographics: What technologies a company uses to power its operations. For example: Salesforce, Marketo, HubSpot, MailChimp, Gmail, etc. This is especially important for those selling technology or software-based products. Sales triggers: Timely events which indicate it’s an opportune time for a purchase-decision to be made. For example: company expansion, new product release, press coverage, good or bad quarter, hiring new employees, etc. What traits do these companies have in common? Why were they a bad fit for your business? What was the most important deciding factor for them not moving forward with your product/service? Why was the timing not right for a long-term purchase decision? What key criteria was missing that would have made these customers a better fit? The positive of using LinkedIn is that everyone has access to it. On the negative side, it doesn’t include advanced search filters without a paid premium account, making it difficult to get granular with your ICP when using LinkedIn for free. You can use this data to refine and optimize your IPC over time and make your lead generation efforts even more effective. Prospecting can be challenging, but with an ICP and disqualifying buyer traits you can start finding and selling to the best customers for your business.